This instance of an ally backing down infuriated the already irritable French grouping. Assad was to be rid of, but do to so would require whole-hearted backing from Washington’s war machine. France’s foreign minister Laurent Fabius was all rather gung-ho about it: something needed to be done, and not getting one’s hands dirty was a sign of fatal weakness. 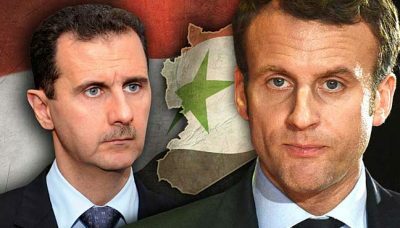 One recent example stands out: establishing a French troop presence to shadow Kurdish ambitions within the Syrian Democratic Forces from the prying moves of Turkey in north-eastern Syria while also combating Islamic State ambitions. He also claims to have persuaded his US counterpart to remain in Syria, despite repeated mutterings and tweets to the contrary. The US interpretation on this as unsurprising as it is predictable. Trump reiterated that sense in his Friday speech to the nation. Macron might have been reading different smoke signals, even if there was some smoke to read.